Digital signage can help you increase your sales by presenting and promoting your products and services in a more dynamic way. Digital signage allows you to replace traditional printing posters with dynamic audiovisual content such as audio, video or static images. Thus we can not only reduce printing costs, but make the most of the performance of each advertising space, showing dynamic and variable information according to the desired programming. Thanks to the TicketPoint digital signage platform, you can install as many screens as you need. Our centralized management platform allows you to update the content and programm all the screens with just a few clicks and remotely. Wether you wish to install an advertising network inside a shopping center, information screens for retail stores, or even for the information screens of an elevator, the Digital Signage solution of Ticketpoint, allows you to manage everything comfortably. 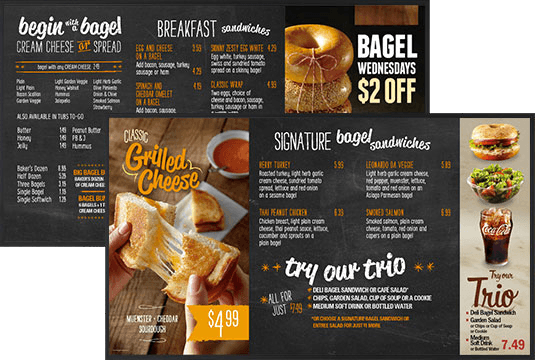 Do you have a fast food restaurant and large panels with the restaurant’s menu? 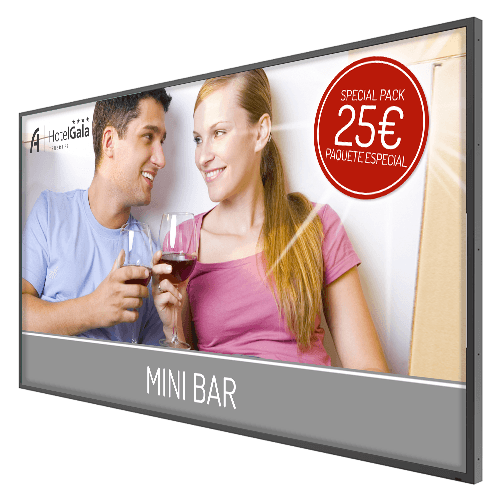 With the Digital Signage solution from Ticketpoint, you can replace those boring panels, by large and elegant flat screens, where you can not only offer information about your menu, but you can also intersperse videos and active promotions that invite your customers to consume more. The OPPI of the 21st century. Imagine the classic OPPI that are spread all over large cities and shopping centers, but instead of printed advertising, with large high resolution screens that can be updated and managed remotely. 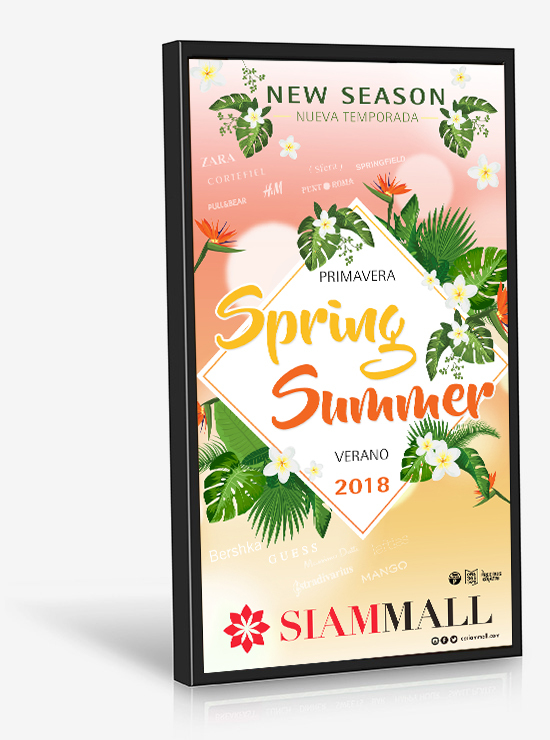 With Ticketpoint® Advertising Totems you can improve the impact and effectiveness of your ads, a modern and easy to use solution that stands out mainly for its visual appeal, originality and large size. Thanks to its large screen, you can promote your company while offering information of interest to users. Thanks to our Digital Signage Management Software, you can manage as many Advertising Totems as you need, making updates in real time and remotely, transmit, promote and create new experiences, deluding your target audience with high definition images. The advertising of the 21st century, already avilable at TicketPoint. Find answers to all your questions about our digital signage screens. Can I use any screen? Do they come with integrated WIFI? All our Digital Signage screens have WiFi antennas, the system only uses the internet connection to download content and programm updates, so it does not require an intensive data use. All content is stored on each screen, in case of an internet cut out the information will continue to show as normal, only it will not be possible to upload new content at that time. Can I update the content of the screens remotely? Our Cloud Management Software allows centralized management of all screens, whether they are located in the same location or in different countries. With our Digital Signage Software you can simplify the maintenance and updating of content, you can even monitor if any screen is disconnected from the network. Can I manage more than one screen? Yes, our cloud control platform allows you to control and manage all screens centrally. You can have the same information in all of them or simply show different information for each one. Can TicketPoint update the contents for me? If you do not have marketing staff or simply have a very high workload, do not worry, with our Content Management Service, our marketing staff will update all the screen content for you, always following your instructions. What happens if the screen application is blocked? All Ticket Digital Signage screens have incorporated a “run safe” function, which allows the screen to be automatically restarted in case the application or the operating system is blocked. Find answers to your questions before buying our digital signage screens and digital signage software. Can I buy the screens in one payment? Can I get the Screens on Renting (leasing)? Yes, it is also the option that is best accepted among our customers. Through a 36-month lease, we can include in one single fee the cost of everything you need to enjoy your Digital Sognage Network. What happens when the renting period ends? We renew the renting for another 36 months under the same conditions, changing the displays for more modern and current ones. We renegotiate the contract by adjusting the monthly fee for a more affordable one and keep the current displays. I already have Digital Signage Screens. Can I use the software only? If you already have one ore more Digital Signage Screens from any other company, we can adapt the terminals so that they work without with our software. You can enjoy the full potential of Ticketpoinit without having to re-invest in more screens. Can I buy the screens from another manufacturer and still use your software? Yes, if you prefer you can buy the screens from your usual provider and use our software by paying the license fee only. If you need, we can recommend some minimum characteristics. Our software can work with any screen that has HDMI. All you have to do is connect a miniPC or Android stick so you can run our software.